Suitable for intermediate plus fit riders. Rates are quoted per person sharing. 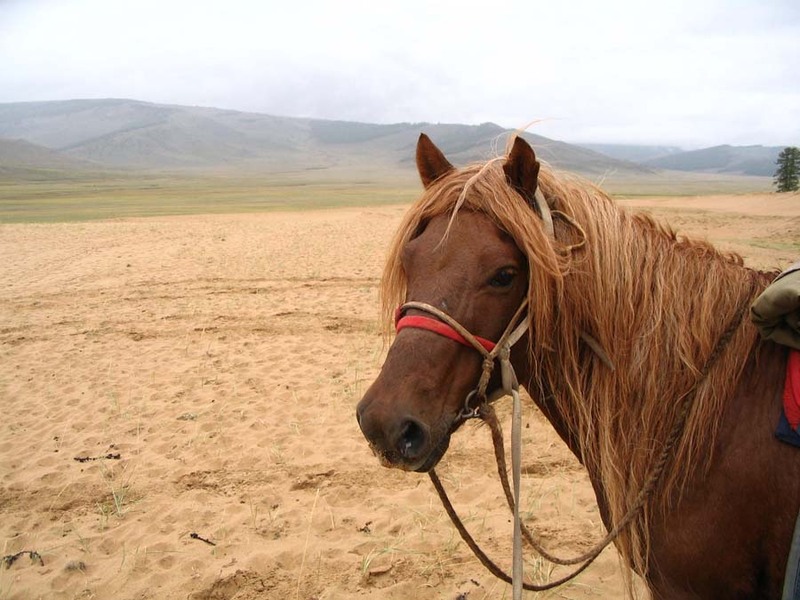 Our Mongolia trips are set departure riding holidays. 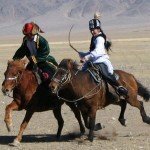 Includes – All the riding, accommodation, meals, drinks and transfers. Excludes – Flights and tips. International flight to Ulaanbaatar, via Moscow, Bejing or Seoul. Short transfer to a local hotel. 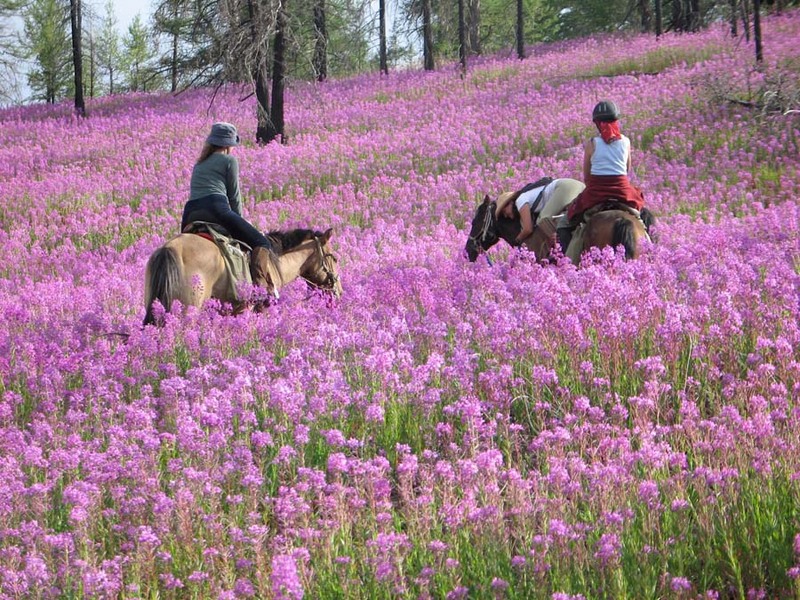 The Altai Mountains provide a classic adventure holiday – an exciting horse riding holiday in Mongolia. 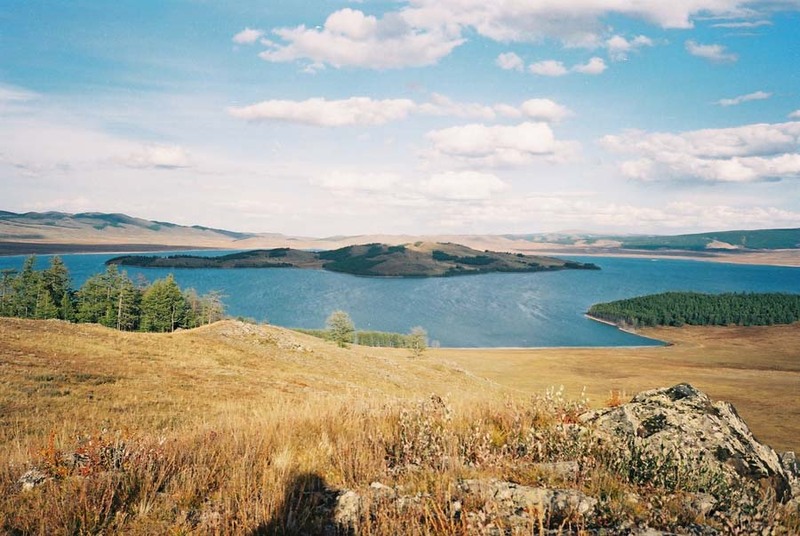 The Altai Mountains form the border with China, in the far west of the country. Local people are predominantly Kazakh, and the culture is distinctly different from the rest of the country, although still nomadic. 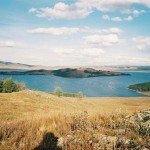 In 2013, the aim is to return to this region, the remote southern area of Altai Tavan Bogd National Park, to investigate new routes. This part of the country has a sensitive border area requiring special permission for access and it’s not always clear exactly where the border is but it’s close enough to be able to peer into China! The local people in the Altai Mountains are ethnically a mix of Mongolian and Kazakh. 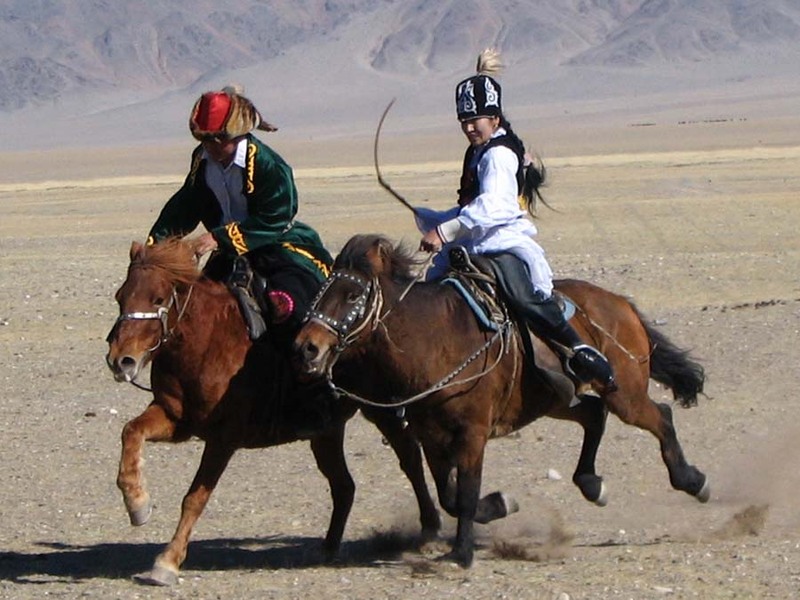 Their generosity and friendliness to strange foreign horse riders has to be experienced to be believed. 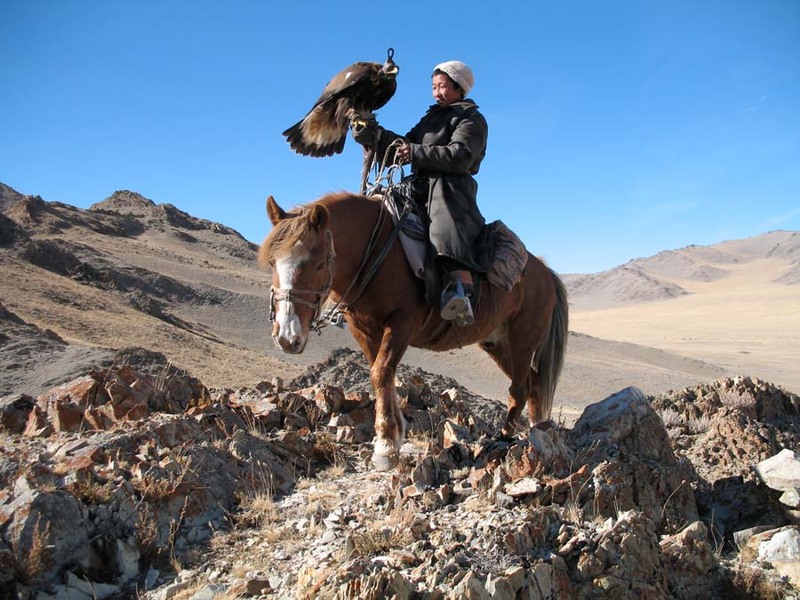 There’s plenty of opportunity to enjoy their hospitality during the adventure, including seeing their hunting eagles. 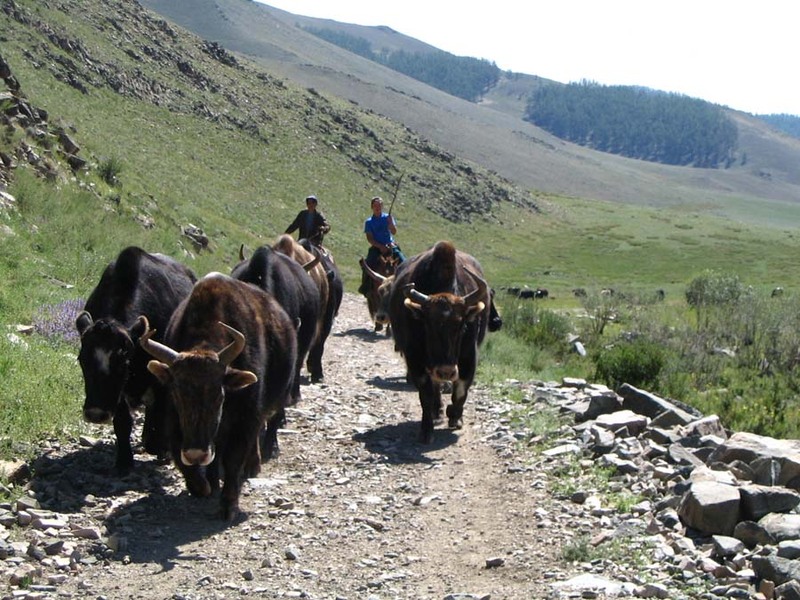 Our ‘fixer’ in the Altai is Amangul, representative for a UNDP project in the area. 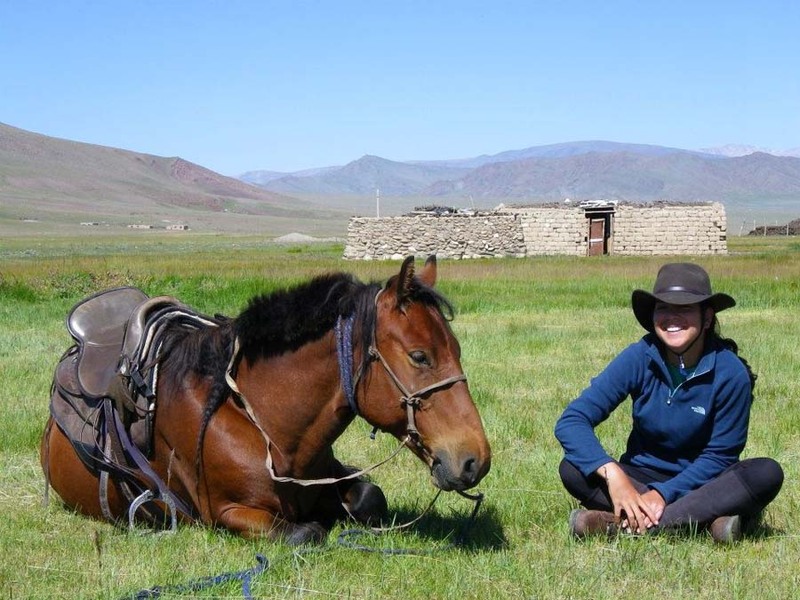 She is without doubt the most hospitable person in Mongolia, and seems to know everyone in the region. Her balzak (rather like a deep-fried donut) are fabulous too. 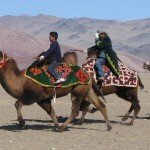 We start off riding across open country and through valleys inhabited by nomadic herders and then begin to climb in to the mountains. 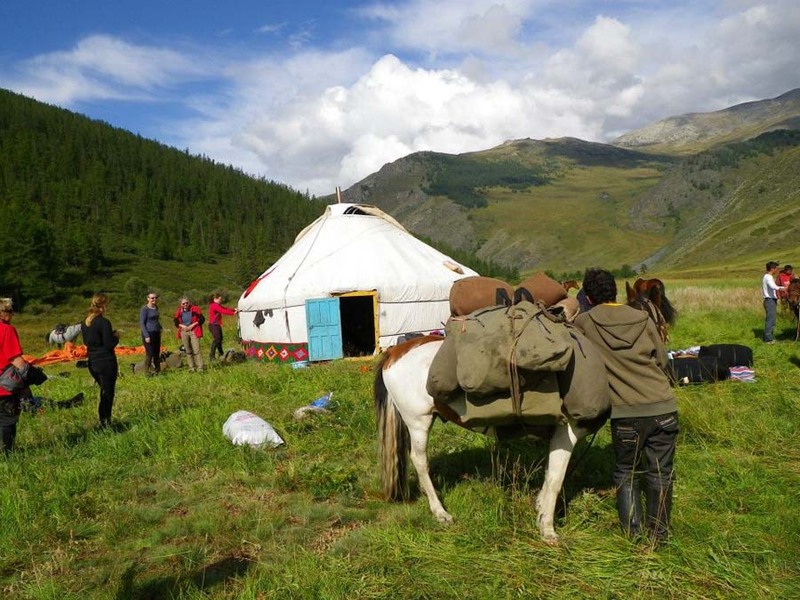 After riding in to the National Park as far as the 4WD support vehicle can accompany us, we set up a base camp, with our large ger (or yurt, the traditional felt tent used by the local people) to retreat to if the evenings are cool. You will have the opportunity to help erect the ger (in fact it is culturally not the done thing to watch and not participate). 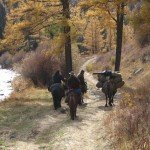 From this point there are no roads and barely a game trail to follow, so we will need to load up the pack-horses (or camels), and be fully self-sufficient. 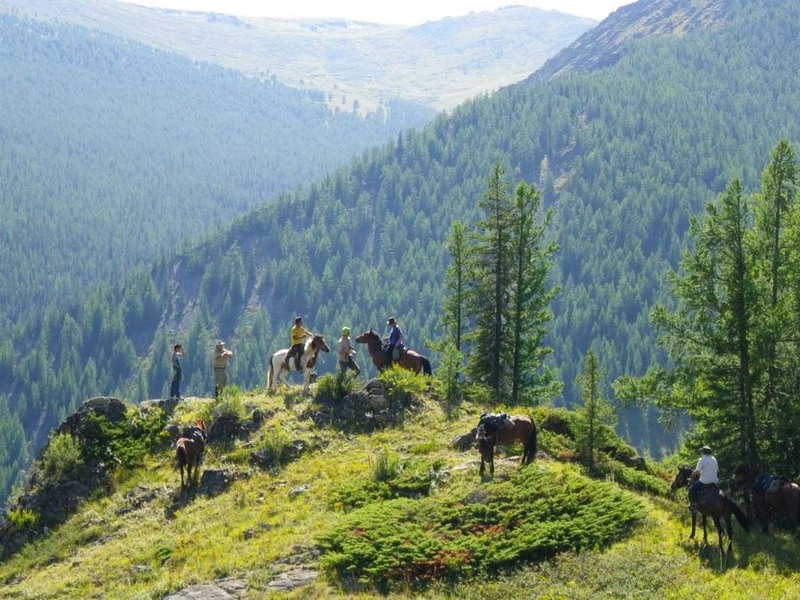 In 2010, the first Altai Mountains Expedition ventured in to some spectacular country. In 2012 there are several options in terms of potential routes. 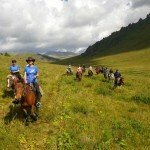 We will have plenty of time to try different trails through the Altai Mountains if the terrain proves too difficult. Each evening we will look over maps and discuss possible routes. Your input is welcomed. 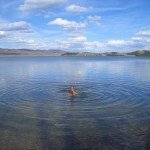 The Altai Mountains is definitely an adventure. The rewards will be great – to ride where few people, even locals, have ever travelled. We will travel fast and light, much like the local people, stopping when we reach a suitable camp site, and cooking simple meals over an open fire. And then sit around the camp fire and be amazed at the brilliance of the night sky! 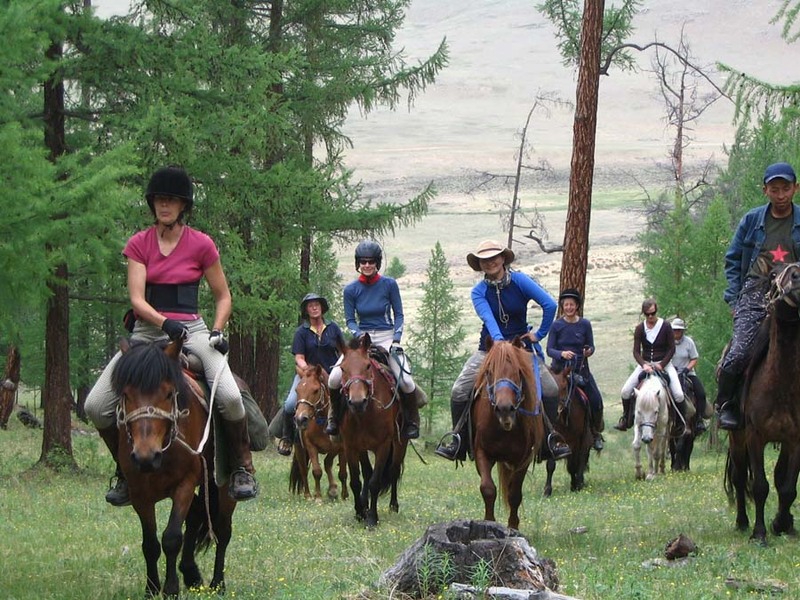 For experienced riders the Altai Mountains provide some great spots for a gallop (and these horses can really move!). The Altai Mountains area is also famous for it’s khun chuluu (literally ‘man stones’), ancient pre-Mongolian stone statues of Turkic origin. It’s not all about going hard every day, so there will be the odd rest day – read a book, enjoy a hike, or just take it easy. 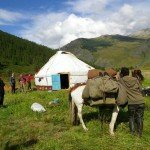 As a way of saying thank you to the village where our Altai Mountains trips are based, a community garden has been started, using a 5% donation from your trip price. If you have any skills in growing vegetables, particularly where the growing season is extremely limited, your input will be welcomed. 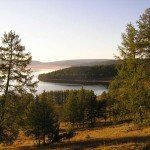 The Altai Mountains area is a remote and mountainous region, with demanding terrain. Therefore it is essential that you are fit and active and willing to take on a challenge. 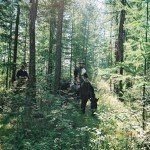 If you are not familiar with the outdoors, or are unsure whether it is the right trip for you, please give us a call to discuss. 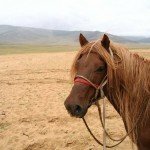 Altai Mountains : Horses – Local Mongolian horses, 13 – 14 hh, very hardy, very strong and very fast. 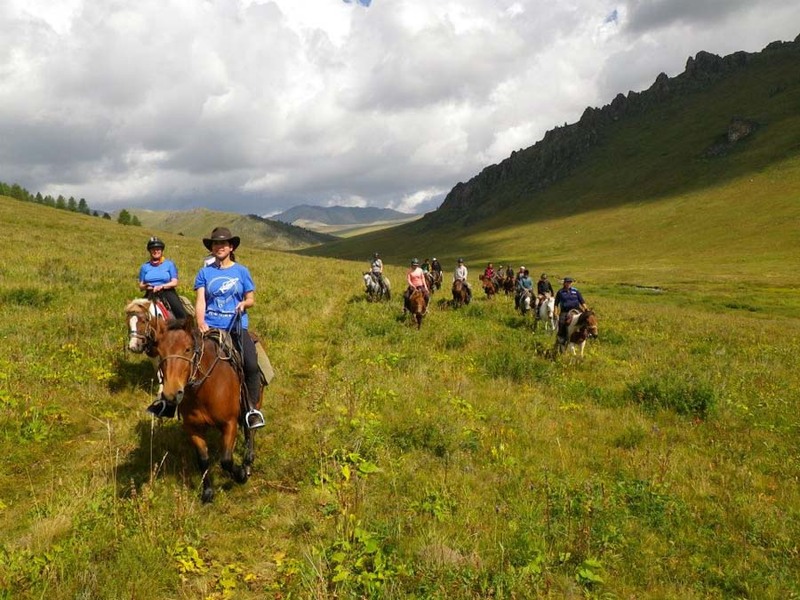 Altai Mountains : Level of Riding & Pace – Beginner upwards, as long as you are in good health and are reasonably fit – however it’s definitely an advantage if you have some basic riding knowledge and skills. Weight Restriction – 15 stone / 210lbs / 100kg. 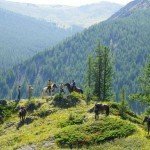 Altai Mountains : Group Size – Maximum 10. The 1st & last nights are spent in city hotels and the rest of the expedition is enjoyed in basic but roomy 4 person tents, shared by 2 people. Food is great & varied, from Thai curries, risottos to authentic Mongolian meals. There’s also fresh baked bread every day. This is a basic and very adventurous type of holiday. 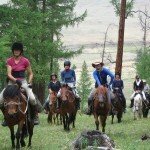 Horse Riding Holidays in the Altai Mountains are part of the Zara’s Planet collection of Horse Riding Holidays Mongolia. 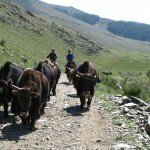 This remote and little-visited region of Mongolia is just crying out to be explored – but this type of trek is definitely not for the faint hearted. 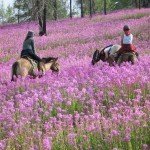 Depending on the timing of your trip, you could be riding over the mountains covered in snow, or carpeted in wildflowers, both as amazing as each other. 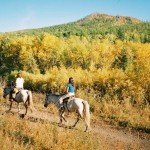 Great riding country – open plains, alpine meadows, and forest, with a backdrop of dramatic snow-capped mountains. 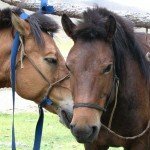 Wonderful horses – these are the ideal mountain horses, sure footed on the steepest trails, but able to take you for a gallop that will leave your legs shaking. You will want to take them home with you! 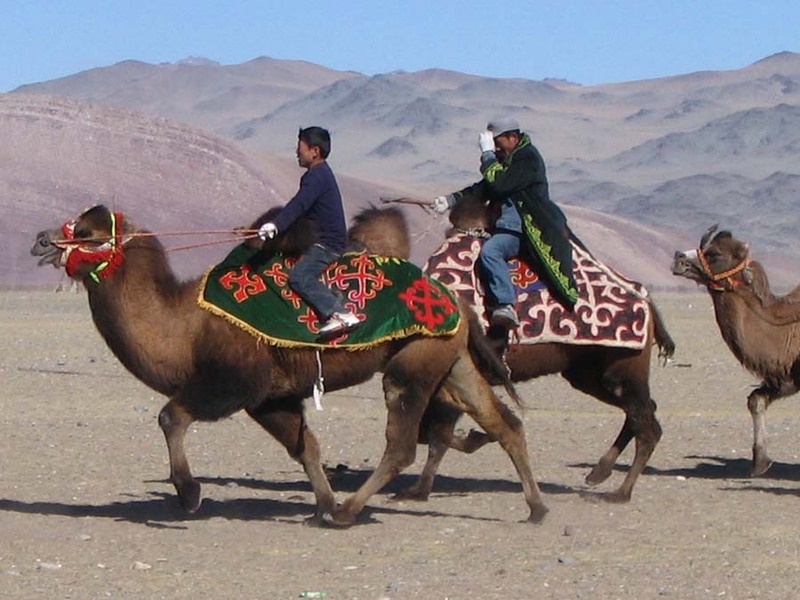 Fascinating culture – meet the local people and experience their traditional nomadic lifestyle. Not as part of a contrived tourist experience, but a genuine meeting of cultures. Archaeological sites – keep an eye out for ‘man-stones’ ancient stone figures from the pre-Mongolian past. 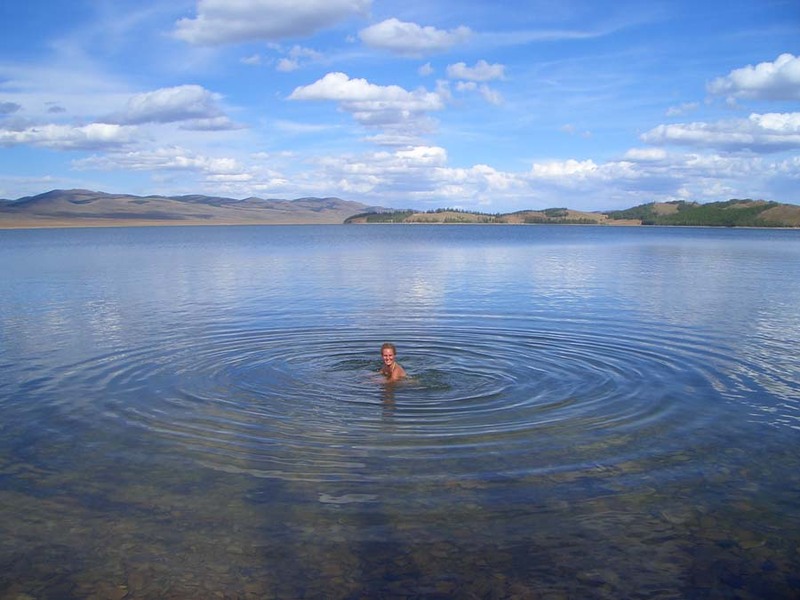 True remoteness – as with our Zavkhan trips, this area has no tourism development, with it’s often unfortunate consequences. 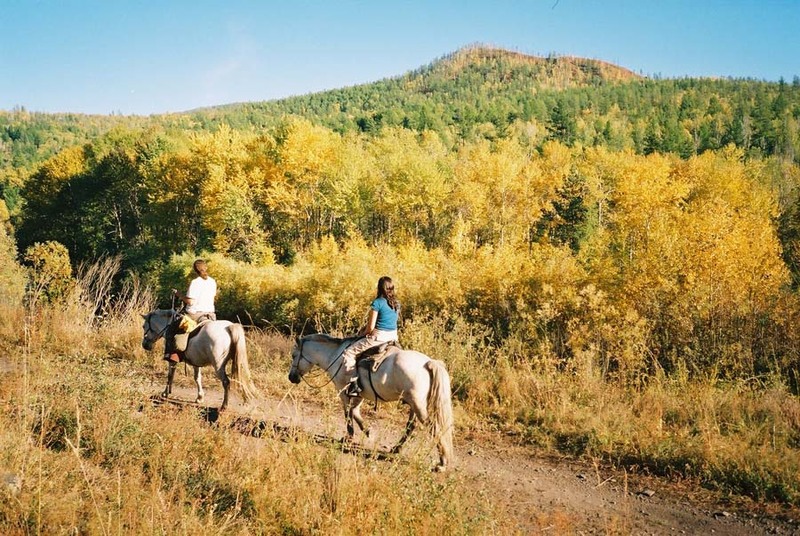 Pack horsing – the only way to get in to this area is to use pack horses. 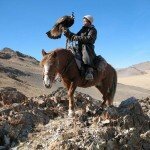 Rare wildlife – the chance to see Mongolia’s wildlife in the best way possible, on horse-back. Community project – contribute to the development of a sustainable village vegetable garden. Build a ger – learn how to erect a ger, as we set up our mountain basecamp. 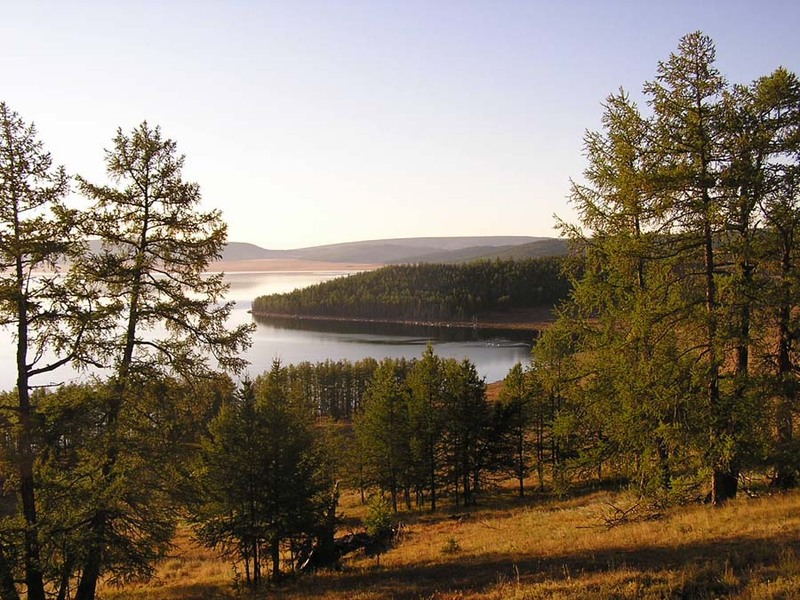 Varied scenery – steppe, forest, mountains,Zavkhan Forest lush meadows, desert sand dunes, lakes and rivers, you see it all in Zavkhan. 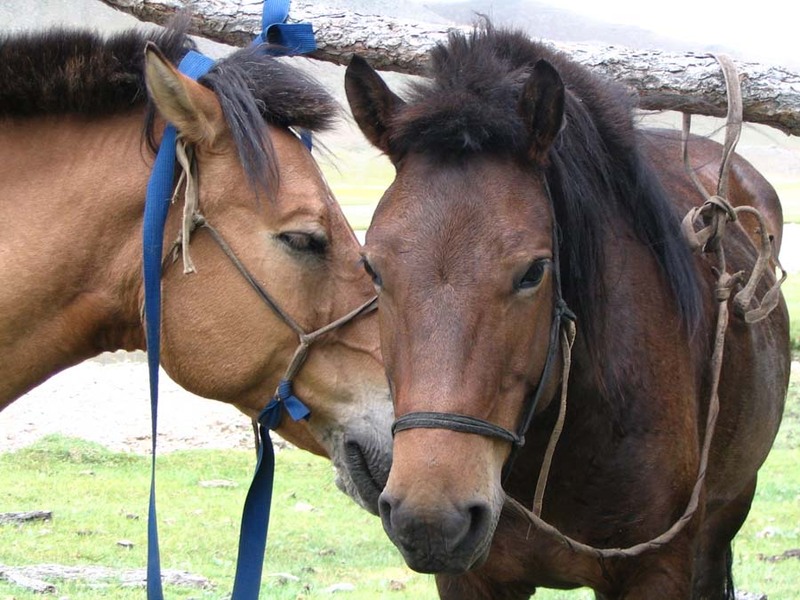 Great horses – born and bred in the wild mountains, they will give you the ride of your life. No tourism development – You are extremely unlikely to encounter another foreigner, and no one will try to sell you souvenirs. Day 1 Meet at our hotel in Ust Kamenogorsk and go out for our first group dinner together. If you have time during the day, we can help with site-seeing in Ust. Day 2 Drive from Ust-Kamenogorsk to Katon-Karagay, (330km, 6-7hrs). 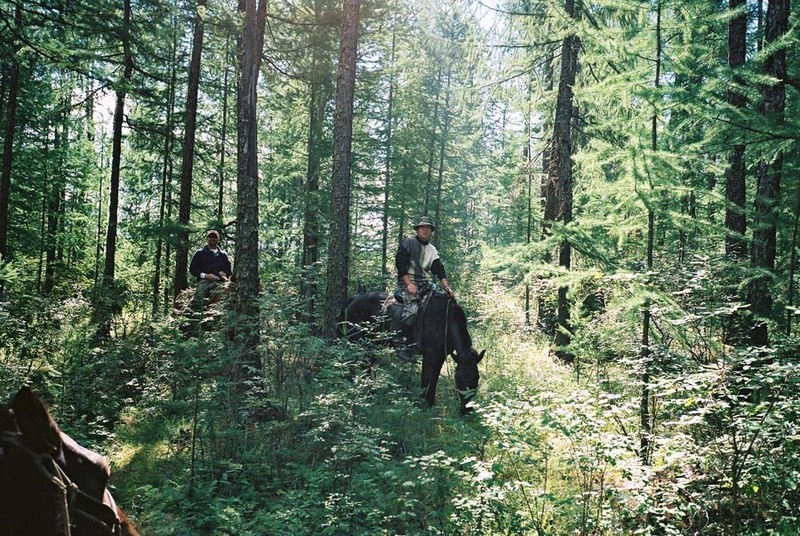 Watch the rural life of Kazakhstan pass by as we head east toward the Altai Mountains. Stay the night at our first camp site. Day 3 First day of riding. Our luggage will be transported to a camp where we have a yurt set up. 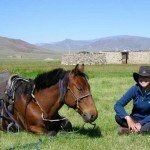 Preparation for multi-day trekking with pack-horses. Days 4 to 15 The next 12 days of trekking are non-itinerised. 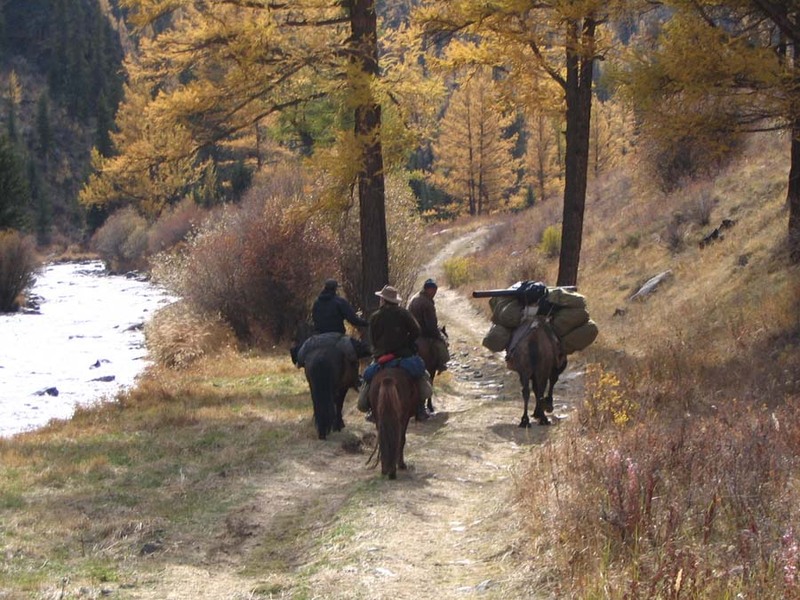 We have 6400 square kms of national park to explore, much of it accessible only by pack-horse. Expect 12 days of riding, including some shorter, or rest, days. Day 16 Return to Ust, arriving in the evening. Final dinner together. Day 17 Depart Ust Kamenogorsk. If you would like to see more of Ust before departing, we can help.